I went for a walk yesterday evening to get out of the house. My back is getting better at least now it more discomfort than pain. As I walked to Tesco I saw an official looking sign indicating that the footpath is planned to move. 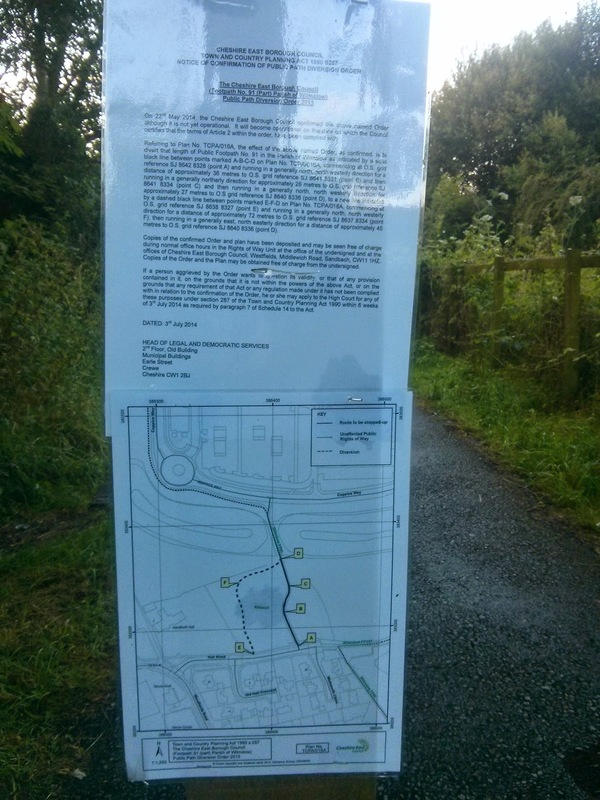 Looking at the planning website it appears they want to turn the current footpath into road access to coppice way.